For instance, there were 789 cases where annotators 1-4 said there was no caries, whereas annnotator 5 said there was. There were 3 cases where annotators 1-3 said there was caries, and annotators 4-5 said there were not. The goal is to infer the true categories given these annotations. We described a general latent-category approach in our previous post, Hierarchical Bayesian Models of Categorical Data Annotation. 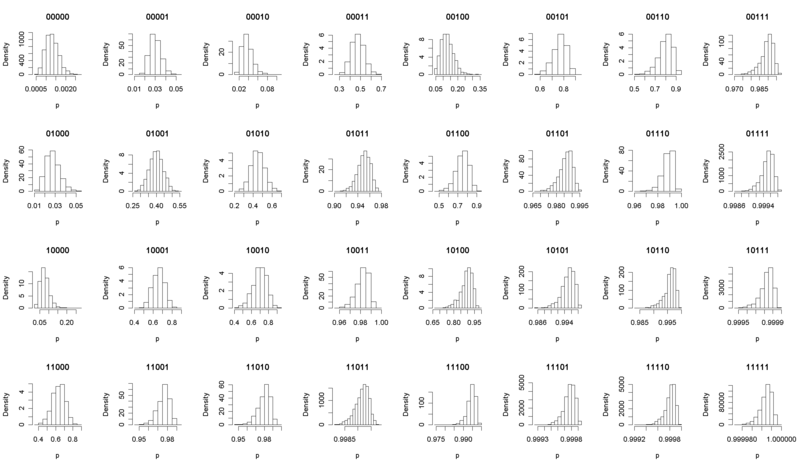 But the paper didn’t have room to display the derived category densities, which is one of the main inference tasks. 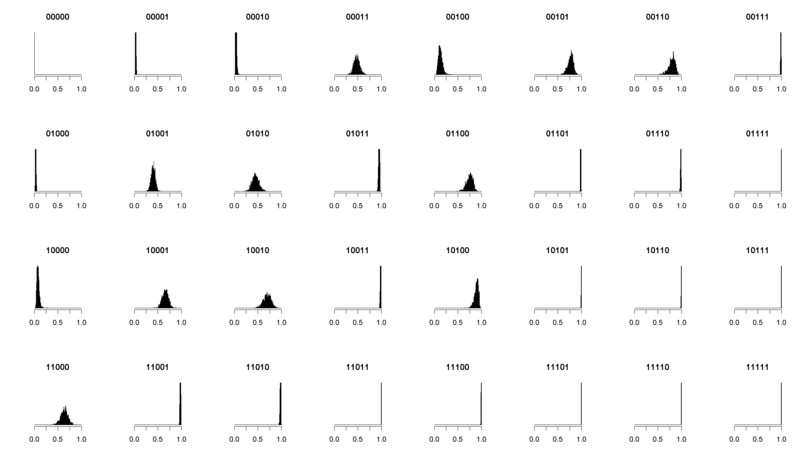 Here are the posterior density estimates for the categories for each of the possible annotations, with horizontal axes all drawn on [0,1] and vertical axes to scale (the skewed distros are clipped). Click on it to view full size. This entry was posted on September 10, 2008 at 5:56 pm and is filed under Carp's Blog, Data Annotation. You can follow any responses to this entry through the RSS 2.0 feed. You can leave a response, or trackback from your own site.